See how to speed up your Mac system with these ten tips! While we love Apple® computers, even Mac systems are susceptible to slowing down over time. As requirements for apps and programs continue to grow, they consume a greater amount of system resources (particularly memory) and you gradually lose the quick, responsive performance that Mac systems are famous for. It’s possible to add software and programs to your Mac system that will slow it down and cause problems. Identifying corrupt files or programs is important when applicable, however, slow performance usually has a far less sinister origin. There are easier ways to solve this problem than spending a lot of money buying a new computer – try these 10 tips to make your Mac system faster than it’s ever been. It’s easy to leave your Mac system on without shutting it down. It’s usually ready when you are, and that’s one of the greatest appeals of using any Apple product. Restarting your computer after you’ve saved information gives the RAM a fresh start when the system boots up again, and gets rid of any lingering unused apps or processes running in the background that aren’t necessary. Opening many apps at once occupies valuable and finite RAM resources. When you’re multitasking, your available RAM is spread out amongst all the programs – and the operations going on within them – that you have open. One of the benefits of upgrading your memory is that it increases the number of apps you can have open as you multitask, without noticing performance lag or stalling. You may be surprised to see how much memory is consumed by the apps you use every day! Web browsing, especially with many tabs open, can slow your system to a crawl if you don’t have enough memory. Each new tab is essentially like opening a new browser, and when you have more than ten tabs open, your memory and system resources are drained. If you have web browsers or tabs open that you are no longer using, close them, because they will slow your system down. The cure for a slow Mac system is unlikely to be adding more software, as its speed is already reduced by what you have installed. There are some software programs available for download that might slightly improve system speed, but they won’t solve the root problem and offer drastic performance changes. If a download existed that could solve all your system’s problems, it would be remarkable, but sadly no single program exists that does that. If you’re still using a hard drive (instead of an SSD) and it’s nearly full, it’s best to free up space by removing apps you no longer use. Because hard drives store and access data on spinning platters, you’re left waiting as it searches for what you’re trying to load. 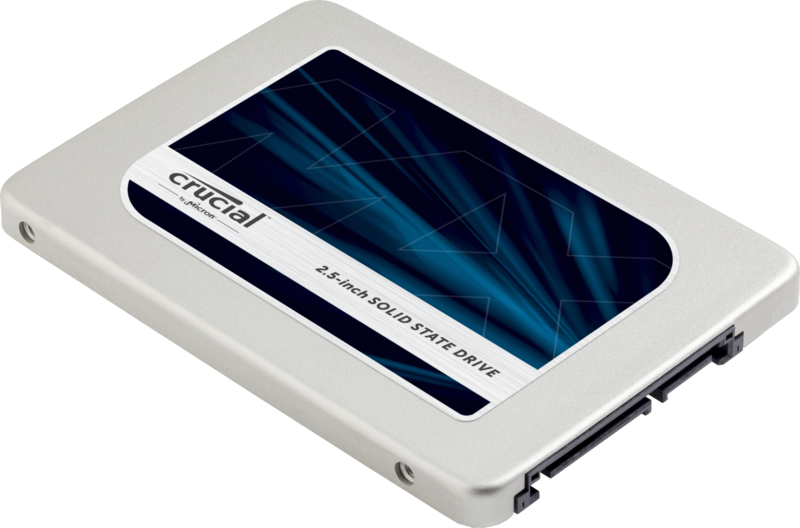 SSDs don’t rely on small mechanical moving parts like a hard drive and as a result, they do not suffer from this issue. Each app you have in the Dock requires data that draws from your system’s resources so it can be accessed faster than finding it in a ‘Finder’ window. If your system is at the edge of its limitations, this is a quick way to give it a little more breathing room. If you open System Preferences > Dock, you can also uncheck the Animate opening applications and Automatically hide and show the Dock to further limit the amount of RAM the Dock uses. We all like to show off our photos by using them as a desktop wallpaper or screen saver, adjusting the settings so that the picture changes every 5 or 15 minutes. However, to allow this to happen your system must allocate resources to accessing the photos, changing the desktop background, and loading the screen saver. These activities can slow down your system. Open System Preferences > Desktop & Screen Saver, click the Desktop tab and uncheck the Change picture option. Then, click the Screen Saver tab, click the drop-down menu next to Start after, and select Never. Click the Apple Logo in the Apple menu at the top of your screen. Depending on the version of the operating system and model of Mac being used, this step varies. For example, in OS X El Capitan, the memory you have installed (amount of GB, speed, and level of memory technology supported – i.e., DDR3, DDR2, etc.) will be displayed as part of the Overview pane. Find out more about upgrading your Mac system’s memory with our Mac memory buying guide. There is often plenty of room to add gigabytes (GBs) of memory to your Mac system because upgradeable systems often don’t ship with the maximum amount of RAM preinstalled. If your Mac system is a 2011 model or newer, check out how much memory it can use or be configured with, according to Apple specifications: iMac®, Mac Pro®, MacBook Pro®, MacBook®, and Mac mini®. A memory (RAM) upgrade is ideal for improving responsiveness, running apps faster, and multitasking with ease. Because nearly every computer operation relies on memory, it’s essential to have as much of it as possible, which is why a memory upgrade is one of the best ways to improve Mac performance. This is a key factor because most Mac systems don’t ship with maxed-out memory, but this can be solved by filling each memory slot in your system with the highest density (in GB) DRAM modules they can hold. Learn more about memory modules. Upgrading to an SSD enables you to do everyday tasks, on average, six times faster than on a hard drive.1 Which makes booting up, loading programs, saving data, and transferring files that much faster. Most older Mac systems feature the now outdated storage technology of hard drives, but SSDs access data almost instantly, leveraging cutting-edge flash memory rather than relying on small moving parts that are prone to failure and slow performance. Not only are SSDs significantly faster than HDDs, but they’re also inherently more durable, reliable and energy efficient. Find out how much SSD storage you might need. If the problem with your computer is that apps are running out of resources to operate with optimal speed, the prescription is for more resources. Software feeds on hardware, which is the source of your system’s performance resources, and that’s where your attention should be for making changes. The problem likely isn’t your Mac, but rather your system’s components, and those are an easy fix. Upgrading your hardware addresses the root cause of a slowdown, which is different to solutions offered by third-party downloads that promise to easily fix your system. It’s wishful thinking that a simple download will fix everything on your computer – don’t fall for a software program whose benefits don’t last and will only leave you more frustrated. There’s a better, more reliable way to reinvigorate your Mac system that will last: adding more RAM and an SSD. Actively updating the apps on a system or the operating system (Mac OS X) itself, doesn’t just give you the latest features, it also generally includes performance improvements that often use more system resources. With the maximum amount of installed RAM and an SSD, you’ll be well equipped to run the latest version of each updated program. Follow these tips and your Mac system will be lightning fast! ©2017 Micron Technology, Inc. All rights reserved. Information, products, and/or specifications are subject to change without notice. Neither Crucial nor Micron Technology, Inc. is responsible for omissions or errors in typography or photography. Micron, the Micron logo, Crucial, and the Crucial logo are registered trademarks of Micron Technology, Inc. Apple, Mac, Mac Pro, Mac Mini, MacBook, MacBook Pro, OS X, and iMac are trademarks or registered trademarks of Apple Inc., registered in the U.S. and other countries. All other trademarks and service marks are the property of their respective owners.